We are headed over to visit with some friends and enjoy leftovers so this will be quick! 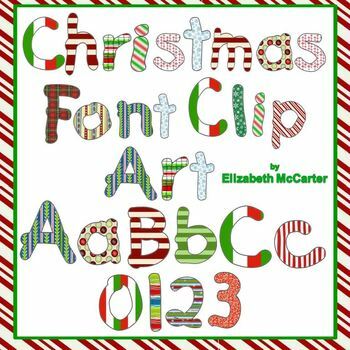 Elizabeth has created this adorable Christmas font! 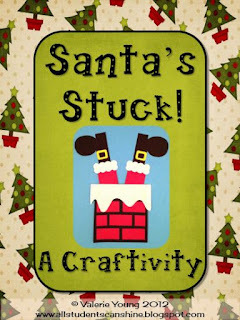 Make sure you check it out when creating Christmas or December activities! Grade One Fun created these Christmas writing prompts. 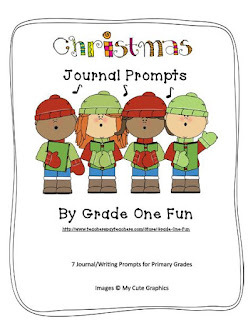 These are great for writing ideas in December! 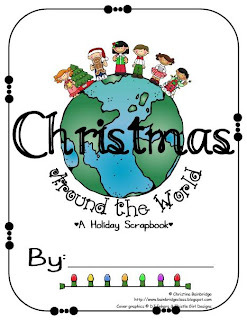 Christina Bainbridge has created this Christmas Around the World Scrapbook Freebie! We show our first graders how other countries celebrate Christmas the week before break and this will be great! And, don't forget that Teachers Pay Teachers is having a Cyber Monday Sale on Monday and Tuesday! My store will be 20% off and you can use the code CMT12 to get an additional 10% off for a total of 28% off! Late Currently and Turkey Freebie!